Rickshaw... What's in a name? Well, it conjures up images of an ol' Chinese smorgasbord with plenty of red and ol' skool decor. Yes, those were the days... of crappy Chinese food served with a side of fortune cookies. 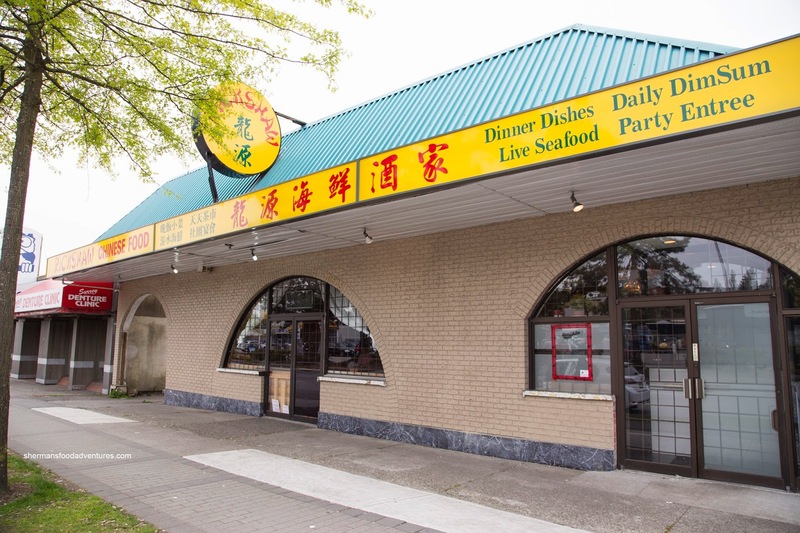 Well, Rickshaw still exists in Whalley, albeit across the street from its former location (complete with that unmistakeable signage). 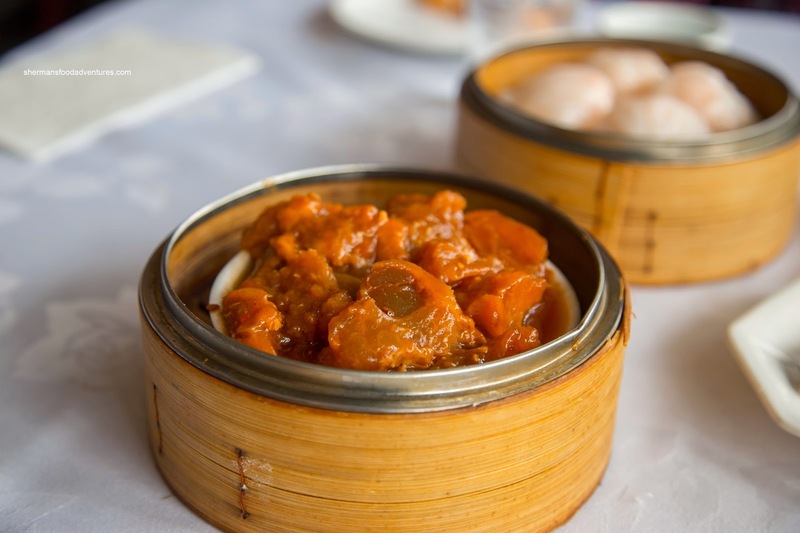 However, the place is "Rickshaw" in name only as it serves up a combination of North American Chinese food and authentic fare. 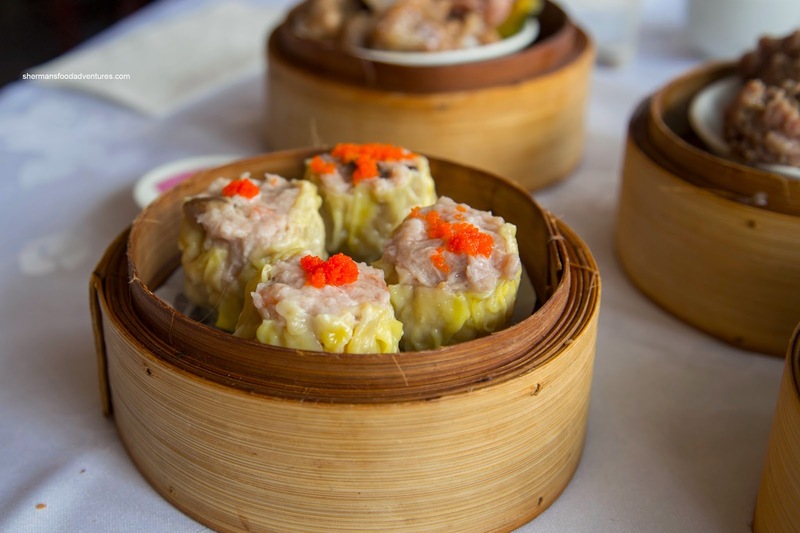 We decided to check out their Dim Sum service to see how they stack up to the limited amount of competition nearby. 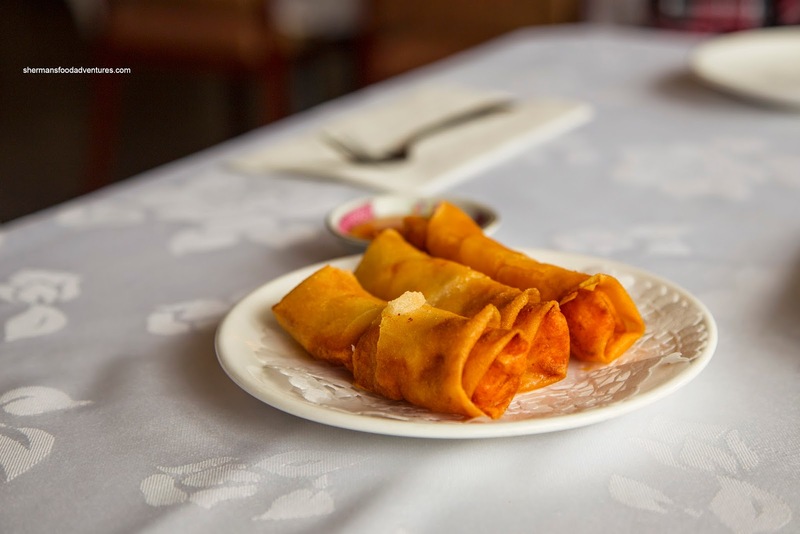 The first dish to arrive was the Shrimp Spring Rolls which were served hot and crunchy. Garlicky and plenty seasoned, the shrimp filling was somewhat rubbery. We liked how they were not greasy, yet the rolls could've used more filling as it was quite loose. We ended up with both the Beef Rice Noodle Roll and Shrimp Rice Noodle Roll (not pictured). The rice noodle itself was thin, slightly chewy while still soft. Overprocessed and lacking in texture, the beef exhibited a noticeable dried orange peel flavour. We would've liked to see more green onion though. As for the shrimp, there was a firm snap to go along with the ample seasoning (sweet with some sesame oil). 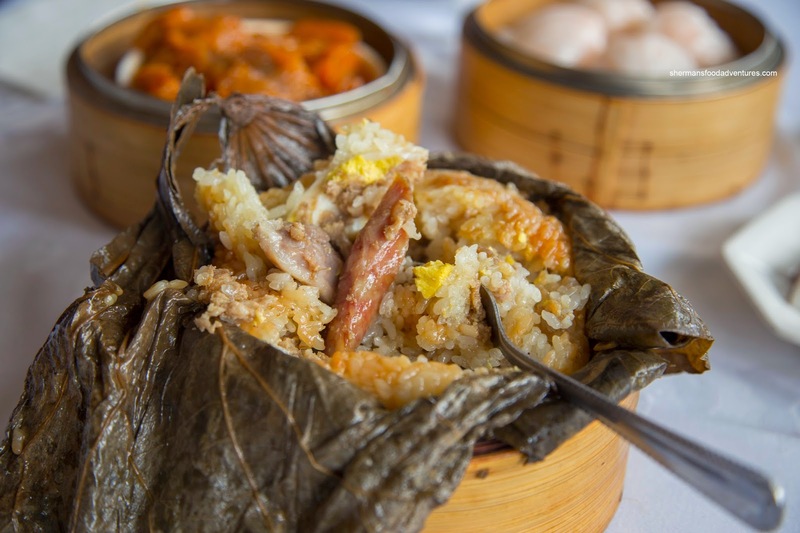 Next up, we tried their full-sized Lo Mei Gai (sticky rice wrapped in lotus leaves). Its large size may have contributed to the ample moisture which made the rice somewhat soft and wet. 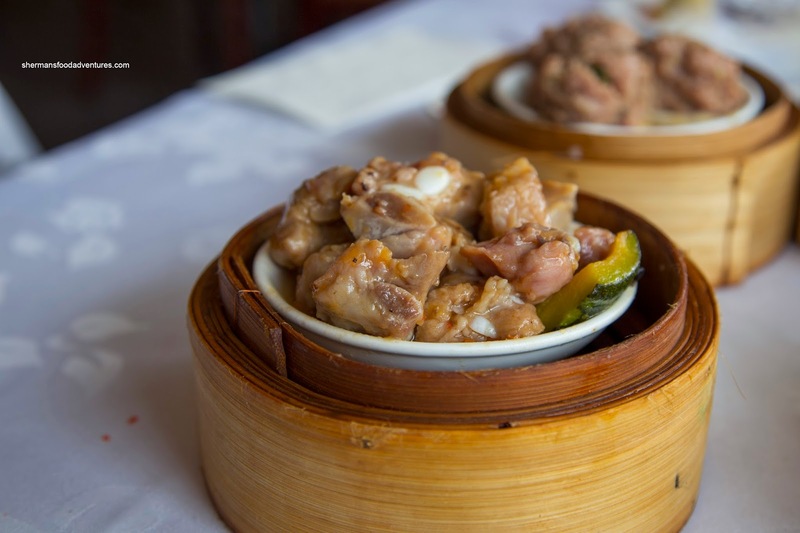 The significant amount of filling including dried shrimp, chicken, ground pork and Chinese sausage probably compounded the issue. On the other hand, there was plenty of flavour as a result. Impressively large, the Haw Gow (Shrimp Dumplings) looked the part. 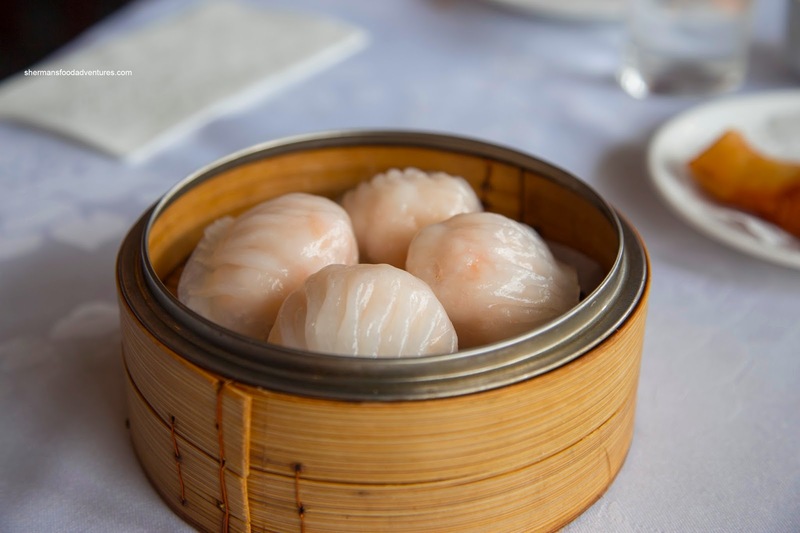 In reality, these were surprisingly good with a thin dumpling skin which was slightly chewy. Inside, the shrimp filling was sweet, flavourful and exhibited a moist snap. 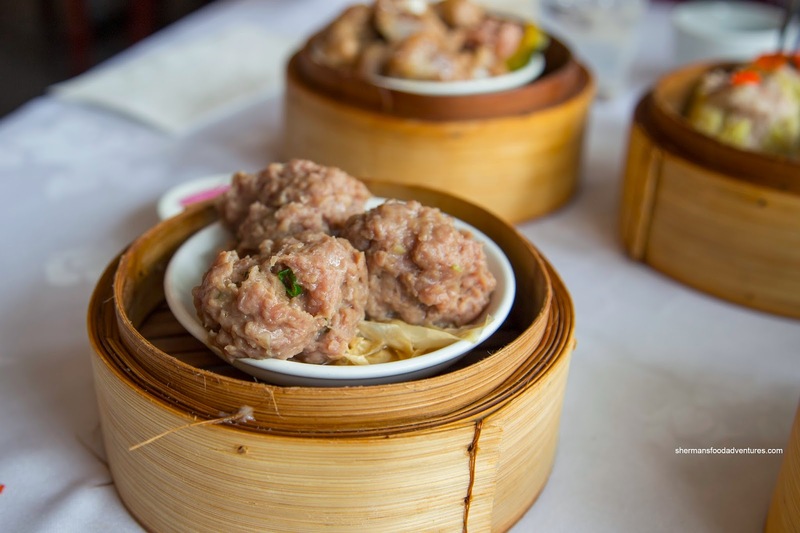 Equally large, the Sui Mai (Pork & Shrimp Dumplings) were juicy and filled with a good ratio of pork, shrimp and shiitake mushroom. Texturally, the pork had a nice rebound while being properly seasoned. The shrimp had a nice snap while the shiitake added a rich Earthiness. With a dollop of tobiko on top, this was a pretty legit dumpling. However, we weren't overly thrilled with the Steamed Pork Spareribs as they were pretty bland. Yet, interestingly enough, there seemed to be a good amount of MSG. Furthermore, there was a baking soda aftertaste which didn't make much sense as the pork was on the chewier side. 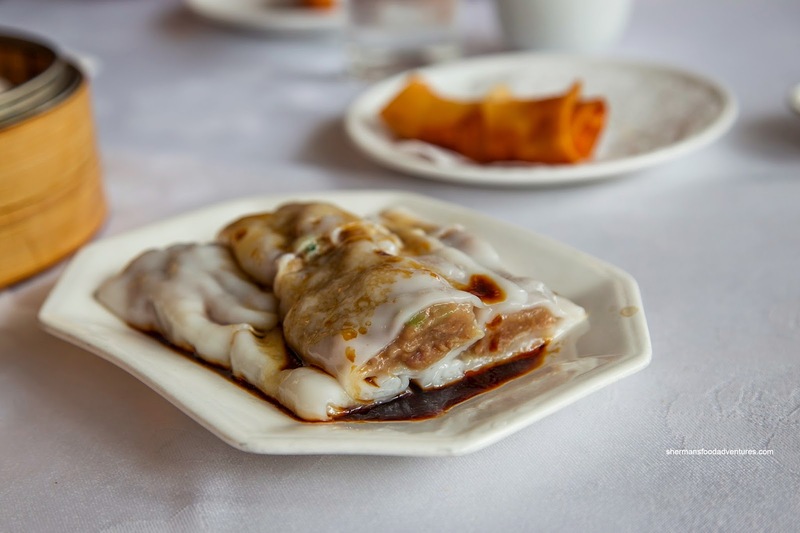 One of my favourite Dim Sum dishes is the Bean Curd Skin Rolls. Thankfully, the one here was pretty good. With a chewy, yet moist exterior caressed by a silky and non-clumpy sauce, there was a balance of flavours. The pork filling had a nice bounce texture that was accented by a good amount of veggies. The Beef Meatballs were also quite good being juicy with an appealing rebound texture. With a good mix of green onion and dried orange peel, there was a diversity of flavours. I know this is a bit nit-picking, but they should've added more dark soy for colour as these were pretty pale-looking. As always, I had to get some form of offal, hence, it was Beef Tendon this time around. This was well-executed since the pieces were large and intact. Furthermore, they were soft to chew without disintegrating on contact. It was also properly seasoned with a balance of garlic, sweet and savoury elements. 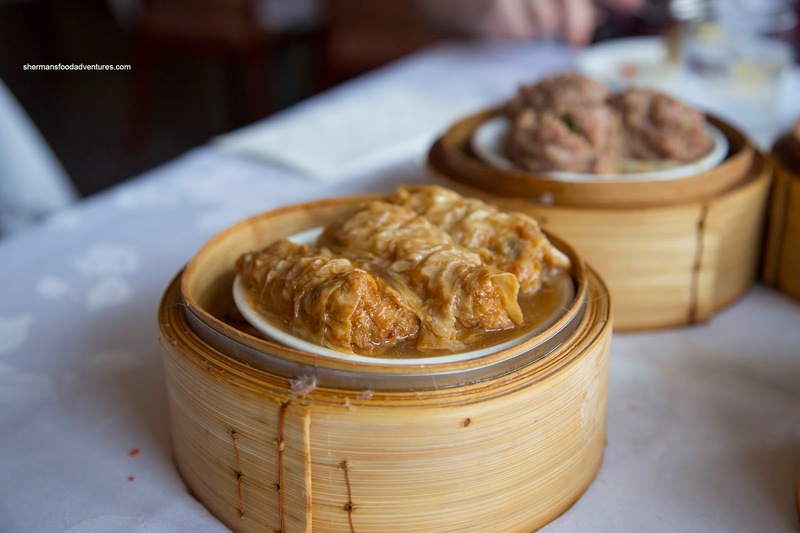 I'm sure you have guessed that this was a fairly decent and surprising Dim Sum service for a restaurant one would not normally associate with great food. However, if Neptune has a lineup, you could go here as an alternative (don't let the poor ratings scare you off). What happened to the original classic neon sign at the old location? It would be nice to see it restored and relocated to their new restaurant. I just hope it doesn't get scrapped, it's such an iconic landmark from another era.